Table 10-42 summarizes the structural design of FLTSATCOM and HEAO-B. 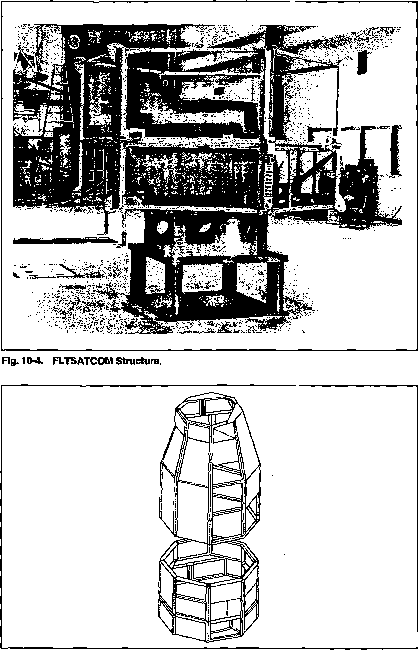 Figure 10-4 shows the structure of FLTSATCOM, and Fig. 10-5 shows the structure of HEAO-B. The HEAO-B structure was a semi-monocoque in which longerons, stiffened skin panels, and rings carried the loads. Both spacecraft were launched on the Adas-Centaur and were designed to substantially the same boost loads. In the launch configuration, both spacecraft were about the same diameter, although HEAO-B was slightly longer. 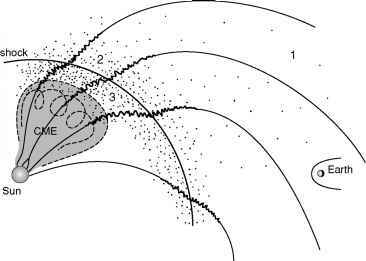 The on-orbit configurations of the spacecraft were quite different because FLTSATCOM has a large, deployable, solar array and deployed antennas. HEAO-B had essentially the same configuration on orbit as during launch. The two spacecraft had different designs for the load-carrying structure. FLTSATCOM carries loads with a central cylinder. The equipment compartment mounts around this cylinder, and the deployables stay around the outside of the compartment during boost. Table 10-43 gives relations for estimating the spacecraft's size based on its weight. Equations (10-12) and (10-13) give relations for estimating solar-array area and weight based on the spacecraft's total power. The table compares the actual parameters for FLTSATCOM and HEAO-B to the estimated values. TABLE 10-42. Structural Characteristics of FLTSATCOM and HEAO-B Designs.